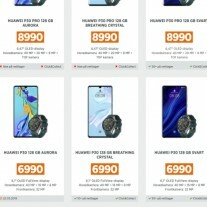 You thought Huawei might have patched their leaking sources after the devices appeared at its Dutch website and at the Italian Amazon? 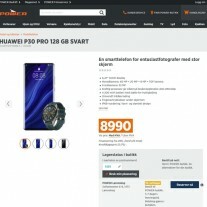 Think again - the P30 and P30 Pro images and specs have been spotted in Norway and in Belgium. They pretty much confirm the leaked specs from last week, but now we also have more on the pricing. Specs like Kirin 980 and OLED panels are not a surprise, however, the prices are new info. 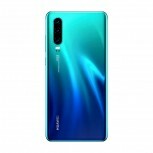 The Huawei P30 is priced at NOK6,990 or about �720. 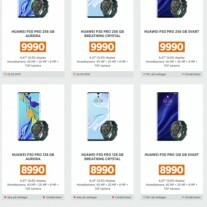 The Huawei P30 Pro with 128 GB storage has a NOK8,990 price tag (�933) and the 256 GB version will go for NOK9,990, which is �1,037. 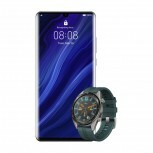 Although there isn�t a specific mention of the Huawei Watch GT, it is likely coming as a gift for early pre-orders. Once the pre-order campaign is over and the bundle is no longer available, the prices are likely to go down. This set of images was retrieved from Google Images. 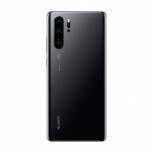 Huawei Belgium managed to take down the pages, but the photos are still traceable via some keywords. 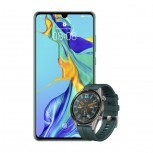 However, they do not reveal anything new - they just prevent that Huawei cannot contain its vast amount of employees and partners across the world from leaking the phone several days prior to the official launch. did you read the freaking post? the price hadn't been leaked yet.